So you’re expecting… but have no idea what to expect for maternity leave? If you haven’t already heard of FMLA, you will soon enough. This federal law, which stands for “Family and Medical Leave Act,” will protect your job for up to 12 weeks after childbirth, adoption, or placement of a foster child. This doesn’t mean you’ll be paid, necessarily; it just guarantees that your job will be waiting for you upon your return, and you can’t be penalized for taking those 12 weeks off. Not sure what your company policy is? Try seeking advice from a trusted colleague who’s been in the same situation, or check the growing database at List Your Leave. If the policy is lacking, or not particularly flexible, you might need to combine parental leave with PTO and sick days. If you’re a freelancer, you’re not covered by FMLA at all. The Cut recommends thinking outside the box – one freelancer used her flexibility to her advantage, opting to move so she’d have a “life event” qualification that allowed her to enroll in better insurance. For health reasons, many women wait till after the first trimester to announce their pregnancy to colleagues and friends. The first person you should tell is your boss – it’s better she or he hears from you, rather than through the office grapevine. Request a sit-down, face-to-face meeting to reveal the happy news. Do your best to defer details about logistics – this will allow flexibility, should complications arise. Your next stop should be HR. You’ll want to ask the department about benefits: Ask if you qualify for FMLA, whether the company has a policy of providing paid parental leave, whether (and how) you can add your baby to your insurance, and if your retirement plan will continue when you’re on FMLA, etc. This is also a good time to enquire into potential flexibility options, like work-from-home policies. Then, feel free to announce to the rest of your office! When Rachel Pierre, founder and host of the Mommifaceted Podcast, took her maternity leave, she made the transition as smooth for her coworkers as possible. “I made sure to wrap up all projects and gave follow up contact information to everyone whom I interacted with on a regular basis,” she says. “I wrote a detailed ‘out of office’ email, so that whoever tried to communicate with me would know when I would respond or who they could reach out to if they needed an immediate response.” It’s also a good idea to set up a system where your coworkers will be able to access any files or info they might need while you’re out. Worried you’re going to forget something? When Becky McCullough, the Director of Recruiting at Hubspot, was planning for her second child, she implemented a “parental leave test drive.” She spent the week working from home, absent from meetings, not responding to emails or Slack messages. Doing so enabled her and her team to identify the transition items that needed more attention before her actual departure. When you decide (or need) to stop working is contingent upon a number of factors. If you’re on your feet a lot, you may find anything past the eighth-month mark to be unbearable. And, of course, you have your finances to consider – do you have enough coverage or savings to see the rest of the pregnancy through? What about the first few months? 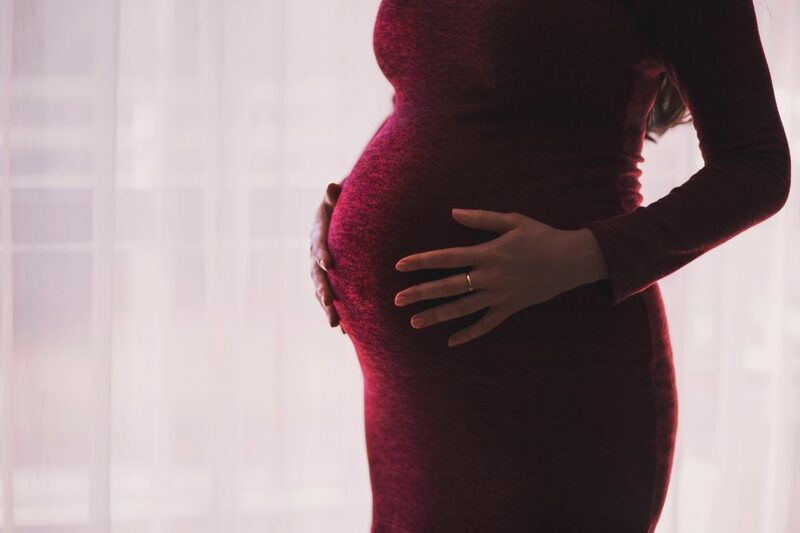 As Lauren Smith Brody, author and founder of The Fifth Trimester, told WealthSimple, the “right amount of paid maternity leave—the magic number that protects mom’s mental health and baby’s physical health—is probably about six months.” But whether you’re able to take the much time off in the months surrounding your pregnancy likely boils down to your financial situation. If you already have a little one at home, you might be wondering whether you should care for both kids at once. McCollough decided to stick with the routine she’d already established for her older son, who had been in daycare since he was four months old. As much love as you feel for this tiny, hiccuping, brand-new being, the truth is, a lot of new parents miss having an actual (well, a two-way) conversation. Remember to connect with other adults: Join a “Mommy & Me” class, take baby for a stroll to a nearby cafe, or go for a power walk with another new parent. You can also use this time to secure childcare – whether it’s visiting daycare centers, setting up a shareable calendar for family-provided care, or interviewing nannies. While you’re away, try to distance yourself from the daily stresses of work. Check in only on an as-needed basis with coworkers – for example, if you want to hear an update on a specific project, or about the status of a client. Remember, your sole job right now is taking care of your little one and yourself. Returning to work after maternity leave is a particularly challenging time, says Mary Pharris, Director of Business Development and Partnerships at Fairygodboss. To ease the transition, she suggests pursuing a phased-in return – where you come back on a part-time basis, and work your way up to full-time. She also recommends coming back to work on a Thursday to avoid the overwhelm of returning to a full workweek. Without paid leave, most women have to go back to work far sooner than they’d like – according to Brody, 8.5 weeks is the average time most women can take, and 25% of moms are back by two weeks. No matter how long you had with your baby, the return is probably going to be a tough one. Linnea L. Mavrides, PsyD, PLLC of Brooklyn, New York, warns about the toll this transition takes on new parents. “For some women, the earlier weeks of infancy are harder on them psychologically, but for others, this transition back to work – and, often, a new childcare arrangement – can cause a lot of stress and misgivings often accompanied by mommy guilt,” she says. -Use your commute purposefully. Schedule a call for the ride home, save up your emails for replying while you’re on the train, or use the time for self-care (e.g., listen to podcasts, call to catch up with a good friend, zen out with a meditation app). -Simplify your mornings. Keep your closet organized so that your most stylish, no-fuss picks are always accessible. Get a haircut that’s easy to style in the morning, and above all else, make sure you take good care of your skin – this will save time you’d otherwise be spending on applying makeup. Last, and far from least, if you’re breastfeeding then you’ll need to prep for the pumping logistics. Block out time on your calendar, and stock up on disposable pumping pads. If your partner is able to take a leave from work to help out, you’re in luck: Brody cites a study that shows for every month of paternal leave a father takes, the mother’s earnings increase by 7%. Plus, it’s an emotional win as well. Pierre credits her emotional success during her maternity leave to having her husband home as well. “I believe wholeheartedly that men need to take a paternity leave,” she says. “Having him at home with me let us bond together with our baby, he could help take shifts so we got a decent amount of sleep, and he could bring me lunch!” Sounds like a win to us. Bottom line: Take as much time as you can. Even if your baby and you are in tip-top health – and you’re able to snag your dream childcare situation – the longer you have together, the happier you’ll both be. Love Nanit? 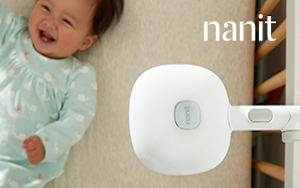 Meet Nanit Plus!